Educational 30 user license of SudoHopper3D VOD (Videos) for 12 months. 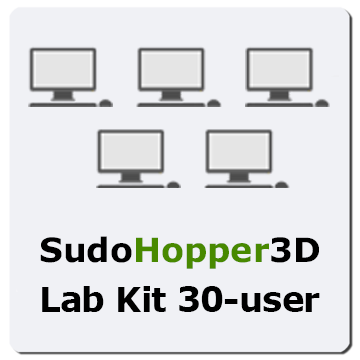 A 30-user license = 30 VIP codes to access SudoHopper3D at VOD (Vimeo On Demand Videos) to learn and play SudoHopper3D for 12 months. We will process your order and send your 30 CD-Keys within 24-48 business hours.